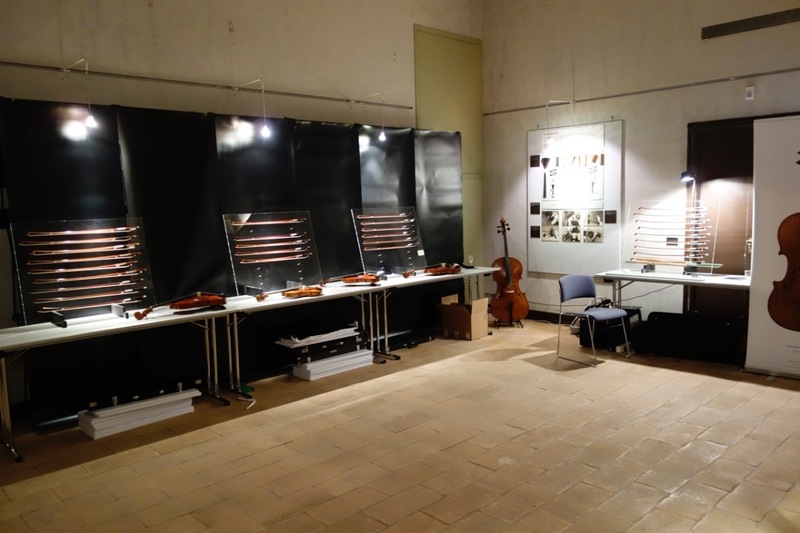 After this year´s overwhelming presentation and reception of the two monographies by Darling Publications on two exceptional Stradivari violins of his Golden Period – The Yoldi-Moldenhauer, 1714 (for the first time ever published) and The Tartini-Vogelweith, 1711 (edited by Solé Luthiers from Barcelona), we would like to thank our well respected visitors and exhibitors for their appreciated visit and enthusiastic participation. 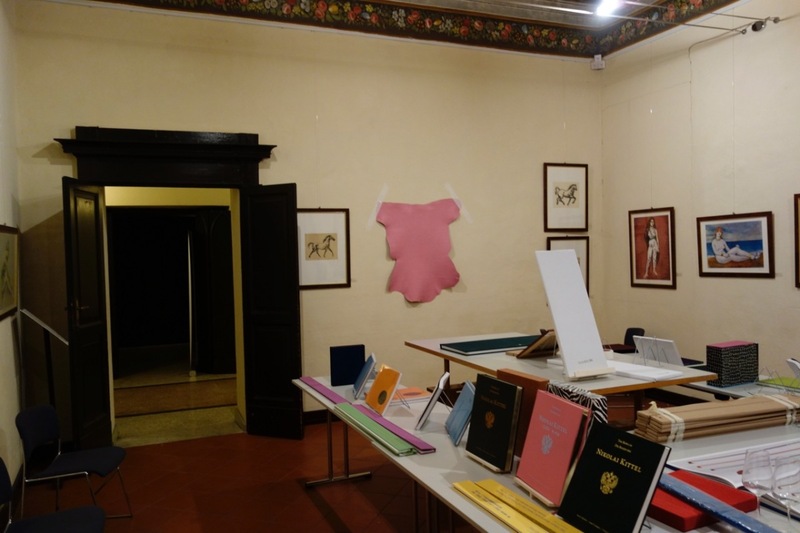 The location was as our last year exhibition The Palazzo Trecchi in Cremona, a more than adequate buffet and „musical entertainment (? )“ were presented by Lark of London, the well known Musical Instruments Insurance broker of Lloyds at their MondoParty upstairs. Two truly spectacular Monographies were presented, not to be compared with some other publications popping up as monographies. 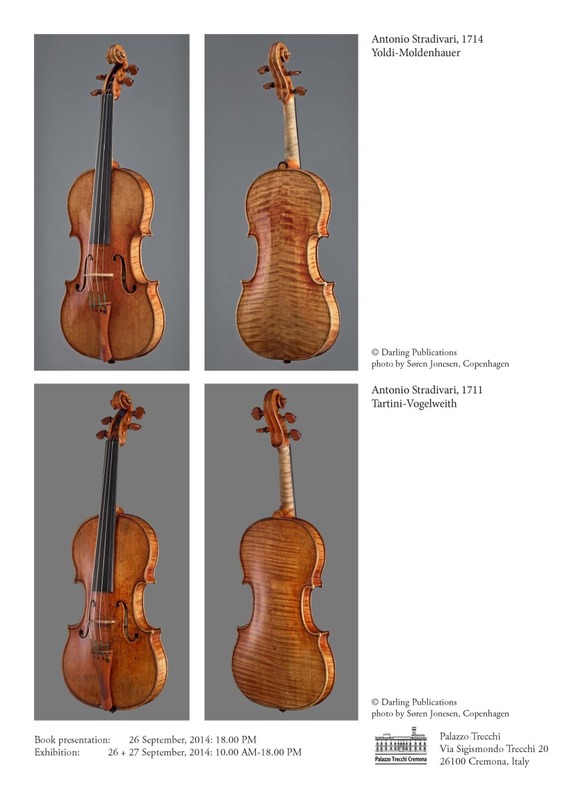 The Darling Publications monographies of the 1711 and 1714 Stradivari violins present the instrument in real full size and in 12 different angles. And if we mean full size, it means full size and not the scroll on another page! And as the growing crowd of violin makers finally start asking for imagers showing more three dimensional images, we present magnificent depth in the photographs by Søren Jonesen from Copenhagen. On several remarks why or who need this kind of publications, as experts don´t need reflections or sculptural images, there could be only the answer that black and white images fullfill that requirement probably better than the vast majority of wrong-coloured reference books! For the more gourmet quality & aesthetically minded, who not only can see but also appreciate the difference, we have created these two bibliophile masterworks. Andy Lim showing the 1711 Strad Monography to its editors Antoni Solé and his charming female company from Barcelona: his 2 sisters Montserrat & Mercedes and his wife Irene. A selection of Darling Publications books. On the wall the pink hide of the highest Hermès quality goat leather waiting to be used for a De Luxe Stradivari Edition. Bows by the following 9 Contemporary Makers were exposed, amoung them some Gold Medals, Silver Medals and Certificate of Merit winning bows of the recent Mittenwald and VSA Competions (Bernd Etzler and Victor Bernard). Some makers were first time – but certainly not last time – exhibibitors at the famed Darling Publication shows. Additionally a selection of the Micro-Photo Lens Cello bows were on the separate display on the right. A cello, started last year at Palazzo Trecchi in the „Sala dei Violini“ by 7 talented international students of the Newark, Mirecourt and Cremona Schools of Violin Making and finished in the white, under the supervision of Nicolas Gilles, Wolfram Neureither and Sebastian Zens, was presented this year in the very same room where the building of the cello started. 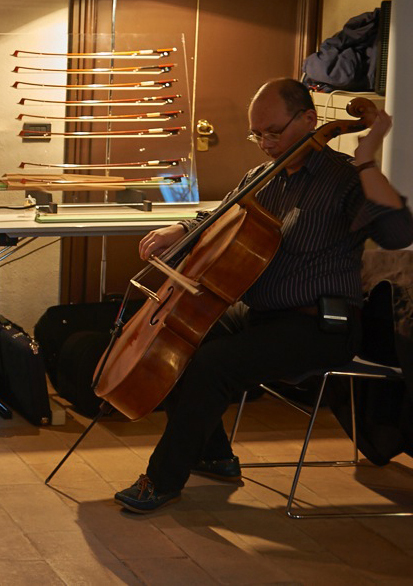 Varnished by Nicolas Gilles, setup by Wolfram Neureither and finally played for the first time by Andy Lim himself. All who saw and heard this instrument were utterly impressed! 4 of last year´s students were present, looking quite satisfied and collected deserved compliments. 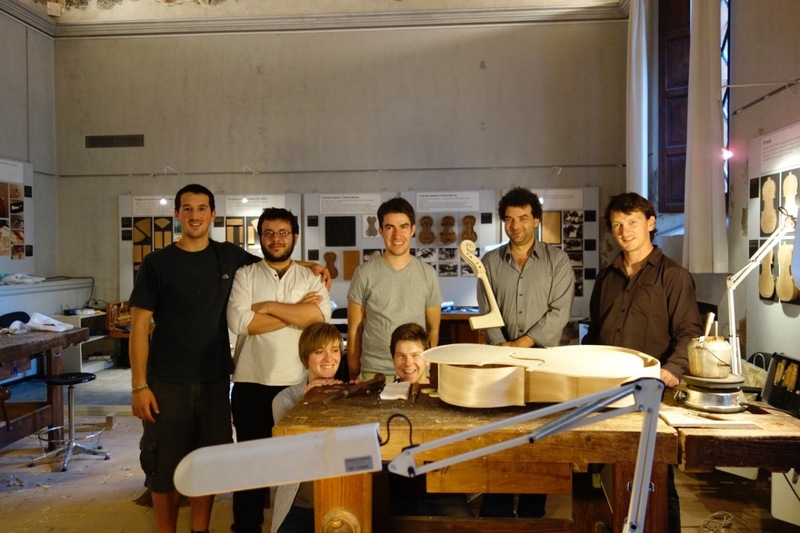 A truly multi-cultural Italian Cremonese Violoncello! 2013: The cello in white. After 3 days. From scratch. -notice the incredibly rarely seen parallel bowing angle! The CAPcam camera from Schaffhausen, Switzerland, a truly innovative technical camera with its revolutionary 3D-focussing software was invited as the special guest of Darling Publications. 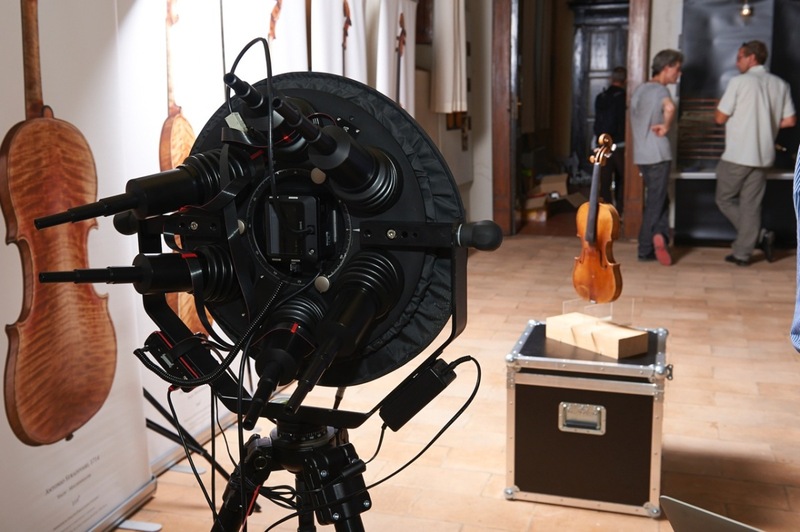 Comparable with the mind and drive of the great Antonio Stradivari to improve the already developped violin, the team of CAPcam (Computer Assisted Photography cam) revolutioned the use of the technical camera in a never before known precision and ease of use. Charlie Gfeller and Rolf Eigenheer succeeded after 4 years since its introduction at the Photokina 2010 to present at this year´s Photokina 2014 this fully and perfectly functioning camera. A mechanical perfection of focussing which simply cannot be reached with even by well made photographic gear, a good eye, steady hands and good intentions of the photographer. 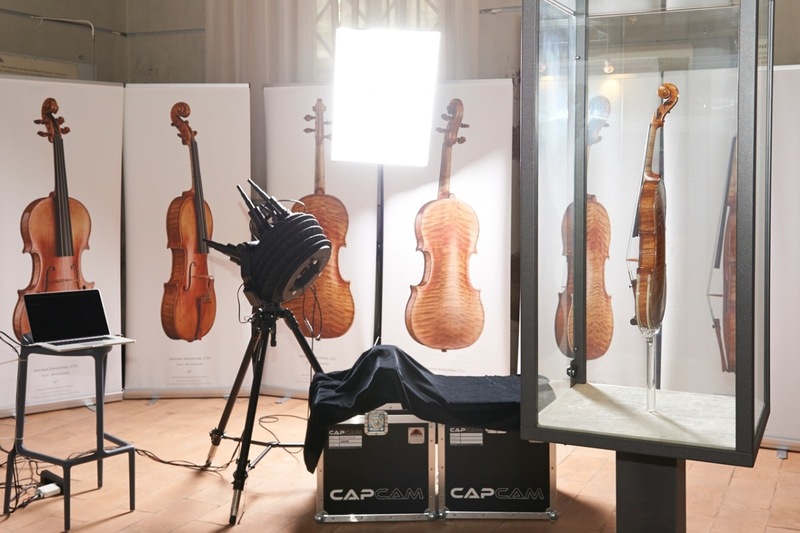 Crowds of people around the camera, 3 meters away from the 1714 Stradivari attested its own fascination and frequent exclamations of admiration and astonishment could be heard at its demonstrations! After the full size books of entire bows at 100% scale, photographed by the Linear Scanning Camera developped by Seitz of Switzerland exclusively for Darling Publications, we are pround to announce near-future projects and publications in co-operation with CAPcam, which enables us in the sphere of even more exceptional quality than already known from Darling Publications. 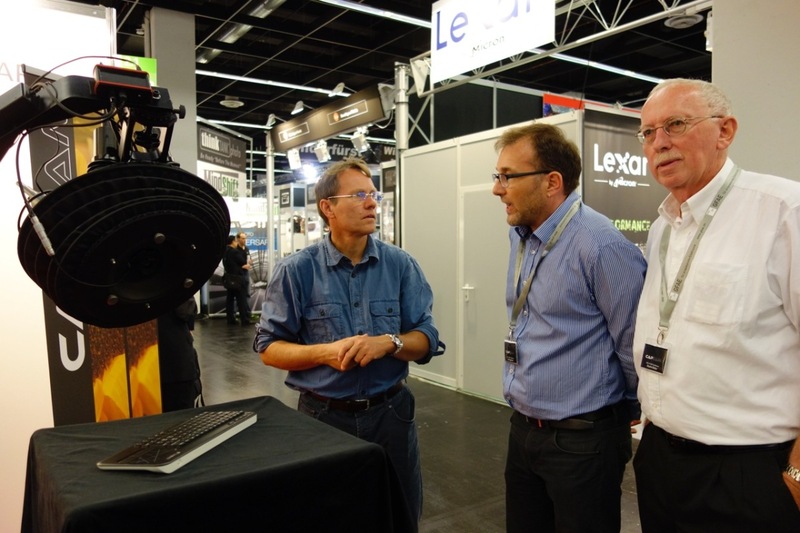 Knut V. Nielsen, the mastermind behind Phase One and known to the world as the image quality professor in their tutorials, in a professional talk with Rolf Eigenheer and Charlie Gfeller at the CAPcam stand, Photokina 2014, Cologne. The CAPcam at the Palazzo Trecchi, Sala dei Violini. 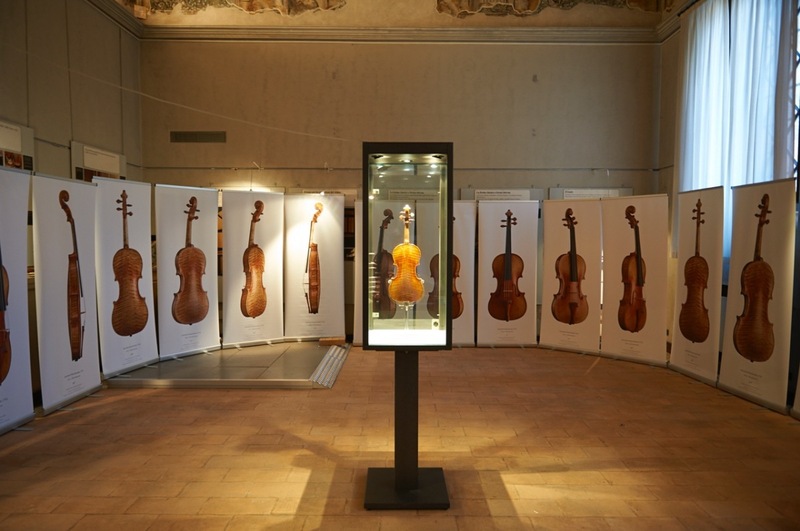 In the vitrine, the 1714 Yoldi-Moldenhauer Antonio Stradivari violin.